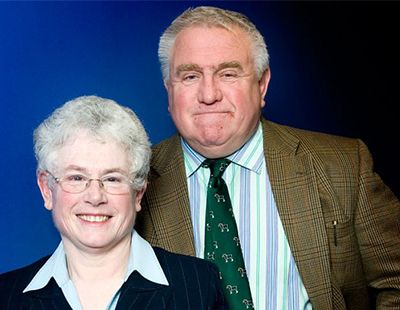 Fergus Wilson was courting controversy long before he appeared on last night’s episode of Panorama. The buy-to-let landlord, widely considered to be the one of the most contentious in Britain, is currently in the process of selling his entire portfolio of around 300 residential properties, with the show examining the impact of his decision on tenants. The property tycoon, who at one point owned almost 1,000 properties in and around Kent with his wife, Judith, has spent the past few weeks filming with Panorama, with a view to giving a landlord’s perspective on the housing market in this country. The Wilsons have become infamous for their strict rules on who they will allow to live in homes they own. In the past they have refused to take people on benefits, battered wives, plumbers, those on zero hours contracts, single women who become pregnant and single mums with newborn babies. The landlord pointed to the need to build significantly more homes in this country, highlighting the fact that private landlords cannot cater for every renter in the UK. Wilson continued: “Not everyone on housing benefit is a problem, but every problem is on housing benefit. “The problem is they don't get paid enough in benefits from Her Majesty’s government to pay the rent. Wilson, aged 70, issued 90 eviction notices in January to tenants in his properties, giving them two months’ to move out, as part of his plan to offload hundreds of homes collectively worth about £250m. “The landlord rules, not the tenant,” he added. Agree, very sensible business man. His strategy is to consistently implement actions which will optimise his business, and I don't think he can be faulted for that. Perhaps not the best at growing a fan base, but I suppose he sees no business need to do so. What was unsaid in the programme was that the underlying cause of the grief his tenants face is the lack of social housing. I agree. He let his arrogance take control and did a lot of harm to landlords who can't afford to sell up and retire. The SNP has ensured tenants now rule up here and Fergus has helped ensure our loony legislation will head south very soon. Typical BBC bias! The Channel 5 programme is much more balanced. Unfortunately when it comes to housing people the ridiculous neo-liberal lefty media etc seem to believe that LL should open their properties to allcomers no matter the status of those tenants. Primarily a LL wants as a bear minimum a tenant who can afford and will pay the contractual rent. Just that requirement alone will mean vast numbers of tenants aren't suitable. Then a LL will need to ensure that RGI is possible. Very few tenants will qualify for this so that means even fewer LL have properties available. Then there are all the other reasons LL won't let. The PRS is simply NOT fit for purpose to house all those that need rental accommodation. This is something the State needs to provide in the form of subsidised social housing. There is no profit motive needed in the social housing sector due to the taxpayer subsidising everything. LL DON'T have the luxury of receiving State subsidies. They need to make PROFIT!!! Consequently they choose those tenants more likely to generate PROFIT rather than loss. A surely most sensible business determination!!!!? FW is being pilloried for doing exactly what I do every day along with most other LL. We simply have no alternative as we DON'T have a sugar baby taxpayer to bail us out unlike social housing. Personally I'm pleased for the Wilsons that they have decided to cash out of the BTL sector.. They are doing what many LL wish they could do to the same extent. I wish I could have been a FW with the same profits! FW is behaving as a ruthlessly efficient businessman. Nothing wrong in that at all. It is nothing personal it is simply business. Let the Wilsons cash out and to then live their lives as they wish. Whatever happens to the tenants is just tough. This really is a great post and I feel your frustration. The Government and zcouncil don’t have the funds so they’re now trying to make the PRS social! The Wilsons would sell to sitting tenants if they wanted to buy at the market price. Surely the tenants should be thanking the Wilsons for letting them stay in a nice house that otherwise they couldn't afford. Perhaps Shelter could lend them the cash and avoid them needing to leave? SHELTER..SHELTER!! I would doubt that very much. 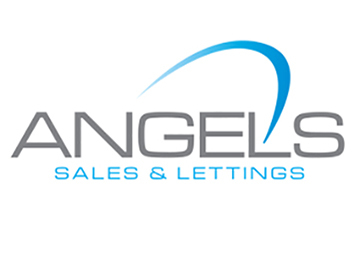 Having owned and run a very well respected letting agency we approached Shelter on numerous occasions for help and advice on how to assist clients who were clearly in a bad place. Their answer “every time” was “ , sorry we don’t deal with agents! Furious to this day! BBCPanorama - can the programme makers make another announcement that these eviction terms “only apply in England, not Scotland” However the landlord has every right to sell his investment/property anytime he wants with the statutory notice. These are his “investments”. No different from stocks and shares, wine, cars etc Its only an emotive subject as it’s housing. But it should not be up “the public” to sort out the nations housing problem. Yes, every tenant has the right for maintenance to be carried out if genuine. But..as pointed out earlier, it’s business! Highly irresponsible reporting from the BBC, no one was “booted out”! Most of Fergus’s points were very valid, he was just saying what many landlords and agent think! Please can we stop calling them "eviction notices?" 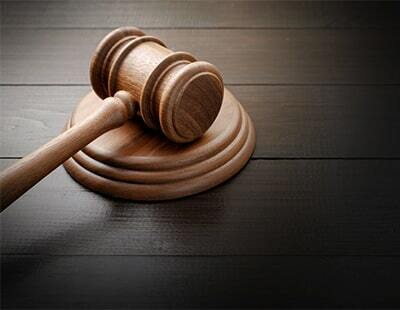 They are not eviction notices, notice served under Section 21 of the 1988 Housing Act is the first part of the legal process used by the landlord to advise the tenants that the landlord requires possession of the property. If the tenant fails to move out then the landlord has to apply to the courts for an order of possession; even when that is granted it is not an eviction notice, eviction only comes when the tenants ignore the court order at which point the landlord goes back to court to appoint a bailiff who will ultimately attend and evict if necessary. on another note, Fergus is right, the property belongs to the landlord who should be able to choose the tenants, the more "outsiders" such as shelter and gov interfere and impose conditions the more landlords will react by selling up and getting out which will greatly restrict the market. Absolutely right, I was virtually screaming at the TV last night, they are not eviction notices. 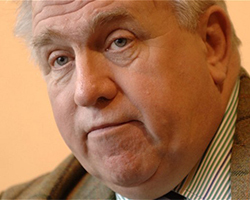 Fergus Wilson may not be very diplomatic but he is correct. The houses belong to the landlord and as such the landlord should be able to choose who lives in them. As a landlord I have only had to serve notice on 2 tenants and in both cases they were in arrears. No landlord is going to evict a tenant who is looking after the property, getting on with the neighbours and paying the rent. He is also correct about Asian tenants. The smell of curry lingers for a long time after even if the property has been redecorated. We have even had Asian landlords asking us not to rent to other Asians. Regarding the BBC programme. I have never seen such a biased and one sided programme. There was no balance, just a left wing interviewer and some nutter from Shelter who seemed to think that all landlords were bad and that we should open our houses to all and sundry and don't even think about making a profit. Yep more idiotic diatribe from that silly woman from Shelter who keeps on repeating the same old incorrect rubbish that S21 are the biggest cause of eviction. She is wrong even in this. If tenants complied with their S21 notices then there wouldn't need to be any bloody evictions. Most tenants have to be evicted because of rent default. S21 is just the process by which tenants are removed from a property. It takes an an average of 10 months to get rid of a rent defaulting tenant using the S21 process. Eviction is just process by which tenants have to be legally removed when they refuse to leave at the expiration of the 2 monrh statutory notice period. Shelter propaganda is giving a vastly distorted negative perspective of the PRS. Many councils tell the private tenants to “stay where they are” and wait until they are evicted as they don’t have any council accommodation. What chance do Landlord’s stand when you get irresponsible advice being given from the authorities! Despite FW having many valid points which we’d all agree with, I can also see the bbc was wise to choose him as a propaganda stick. His delivery of his points and overall attitude was too blunt, even my daughters couldn’t listen to him a minute more. All he did was put over us LL as vindictive, parasites which the tenant generation are already being spoon fed on a daily basis. There was no balance at all and not once did it mention the damage tenants cause, failure to pay rents etc etc they we have all faced. If the mortgage lenders won’t lend to risky cases those cases become LL responsibility but the risk still remains, only passed on to us mugs, so picking and choosing is common sense but again, nowhere was this mentioned as being a sensible and plausible business decision and one that mortgage lenders have already likely refused themselves. All the Wilson's properties seemed to be in very good order and were selling well for prices that were acceptable to them. So hardly the usual representation of a rogue LL. To call FW a rogue LL is somewhat disingenuous to say the least!!!! But for gawd's sake he is a LL not a media graduate trained in all the ways of being media pc!! Very few of us LL are. He is from another era where describing people as coloured or white was exactly correct in the English language. Now we have this ridiculous people of colour. So I will be using this phrase along with people of white. Sounds ridiculous and is surely grammatically incorrect just as people of colour is!! FW is a dinosaur something that most of us eventually turn into!! Great post, the reality is he was actually more honest, upfront and open than the BBC and it’s presenter! Would rather have that any day. There isn’t a eviction problem needing fixed but it’s all political .. generation rent votes are at stake ! Section 21, the no fault eviction ? no the accelerated eviction process, which is why we use it over section 8 because when we have a none payer we want them P D Q .